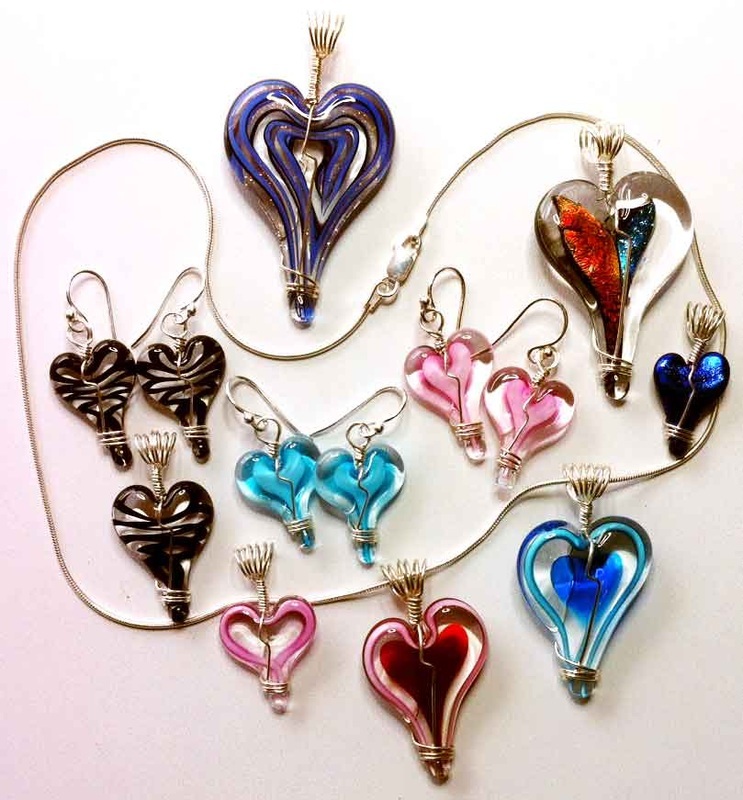 These lampwork glass hearts are created & wire wrapped daily in our Laguna Beach, CA studio. 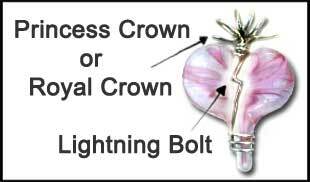 ​Many different colors of glass become fused together to create your special jewel. 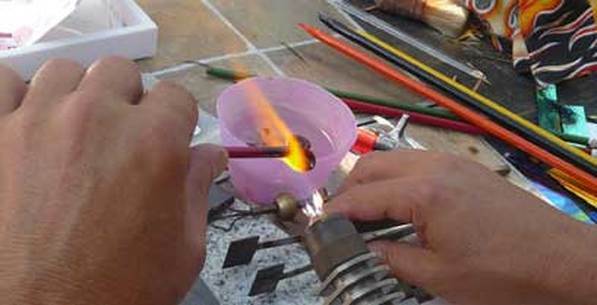 We finish them using either sterling silver or gold, to create truly unique pieces of art. They come beautifully arranged in earring sets, necklaces, bracelets, anklets, and more. They're also available "unwrapped" to use as you desire! ​Each glass heart is created and wire wrapped by our master glass artist, Hillel Rzepka. We make our heirloom quality, wearable art with only the best materials available, including 14K Gold Wire, Italian Murano Glass & Real Sterling Silver! We also carry the finest Italian made .925 Sterling Silver Round Snake chains, secured with soldered rings on the ends with lobster clasps. Examples of Handmade Hearts Jewelry.